A country worried over the chances of receiving lower salary hike next year because of inflation, is gearing up to offer more than 200% raise to its President soon. The government has taken this decision after the implementation of 7th Pay Commission realising that the Cabinet secretary gets paid more than the President of India! The President’s salary was raised from Rs. 50,000 to Rs. 1.5 Lakh per month in 2008. 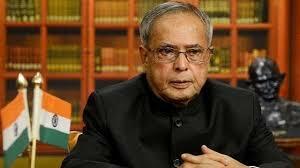 This time, following the proposed raise, salary of President of India would be Rs. 5 Lakh per month. The Vice-President’s salary will also receive a hike of Rs. 3.5 Lakh per month from the existing Rs. 1.10 Lakh. To break it down, the current salary of President of India is Rs. 4,931 a day, Rs. 34, 615 a week, Rs. 150,000 a month and Rs. 1,800,000 a year. But all that’s going to change soon. The President of India, once retired, gets a pension of Rs. 1.5 Lakh with a furnished rent free bungalow and the spouse gets a secretarial assistance of Rs. 30,000. Besides, nearly everything that the President does or wants to do is taken care of by the government by the annual budget of Rs. 225 million. That’s the amount government allots for his maintenance. He lives in the largest Presidential Palace in the world – the Rashtrapati Bhavan. Over 200 staffs are there to maintain the Bhavan. His retreat residences are the Rashtrapati Nilayam in Hyderabad and Retreat Building in Shimla. He travels in the bullet proof Mercedes Benz S600. After retirement the President of India gets two free landline and a mobile phone, five personal staff including a private secretary, an official car and staff expense of Rs. 60,000 per year. He can also travel with a companion by rail or air for free.